The National Hockey League Stanley Cup playoffs have faced off and the American Hockey League’s Calder Cup playoffs are next up on the ice. 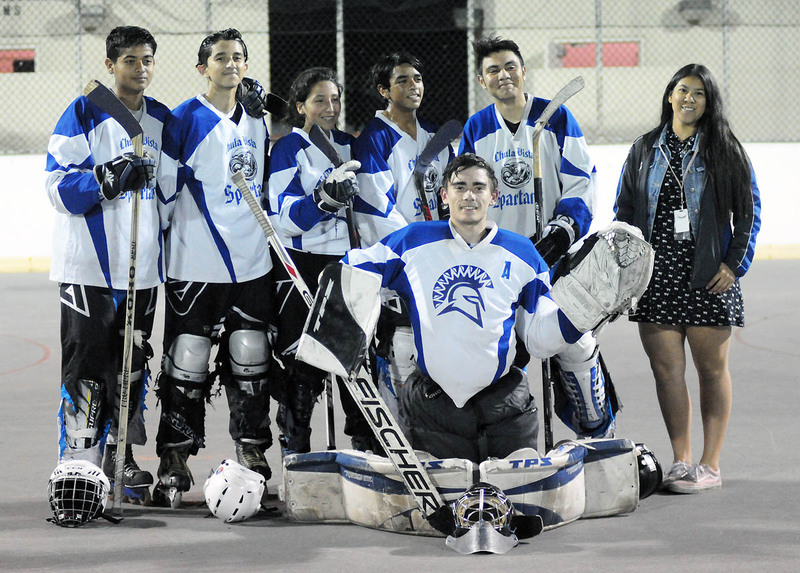 The high school roller hockey season wrapped up March 5. Ahem, the Eastlake Titans were still rolling on the court. The Titans, seeded fourth in the 12-team Don Cerone/Kiwanis Cup playoffs, finished the school’s most successful season in more than a decade by placing fourth in this year’s third-place game at the Escondido Sports Center. Eastlake closed out the 2017-18 season with a final 24-2 record after coming up short in a 6-3 setback to the second-seeded Scripps Ranch Falcons. 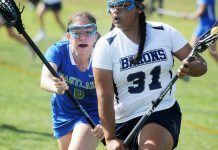 The Titans took a commanding 24-0 record into the semifinals against the top-seeded Rancho Bernardo Broncos. The Broncos prevailed, 6-2, in the game played Feb. 28 in Escondido. Sophomore Braden Mayer scored both goals for Eastlake in the semifinal loss. 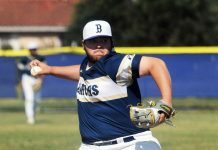 Both Final Four matchups proved highly competitive for the intrepid Eastlake squad, which had nothing to be ashamed of in post-season play against the generally more highly regarded North County League teams. Rancho Bernardo shut out the third-seeded Westview Wolverines, 6-0, to capture this year’s championship title. Eastlake cemented its name in the history books by finishing regular season play 23-0, with 22 of those wins coming against fellow Sweetwater Union High School District teams. The Titans edged the Cathedral Catholic Dons, 3-2, in their only game against a non-district opponent in midseason. The teams drew a rematch in the quarterfinal playoffs, with Eastlake capturing a 7-4 decision over the fifth-seeded Dons. 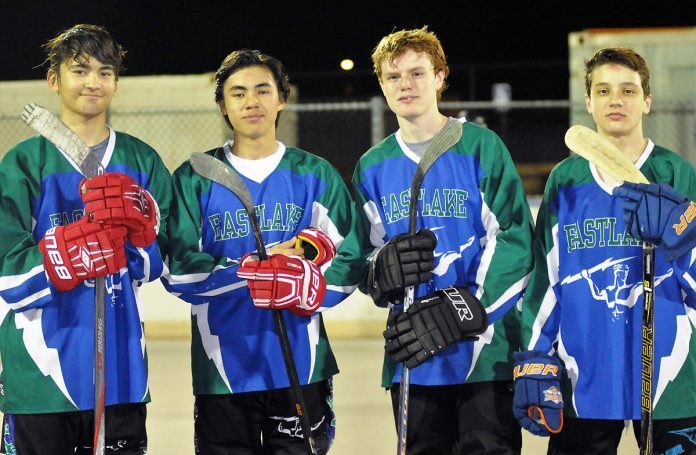 The playoff game saw Eastlake skate to an early 3-0 lead and the Titans would need every one of those goals as Cathedral Catholic later whittled the deficit to one goal on the scoreboard in the third period. Two late goals by senior Will Hamilton saved the day for the Titans. Hamilton earned honors as the 2017-18 Mesa League Player of the Year. 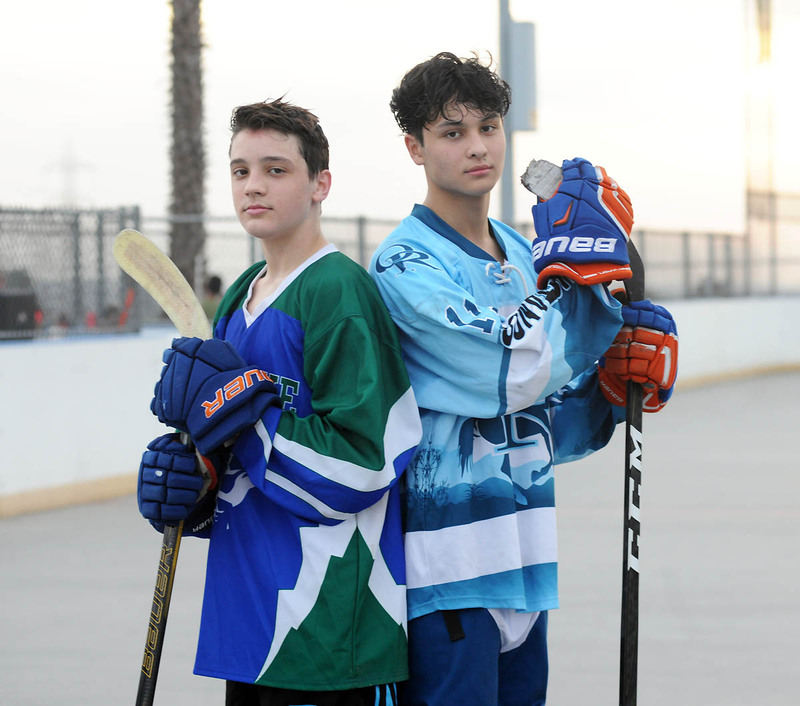 Rancho Bernardo claimed its fifth Kiwanis Cup champion on the strength of four goals by Ike Frankel and a 20-save shutout performance by goaltender Jakob Ogan. The Wolverines had entered the championship game as two-time defending champions. Westview had tipped Rancho Bernardo in overtime to win last year’s title. 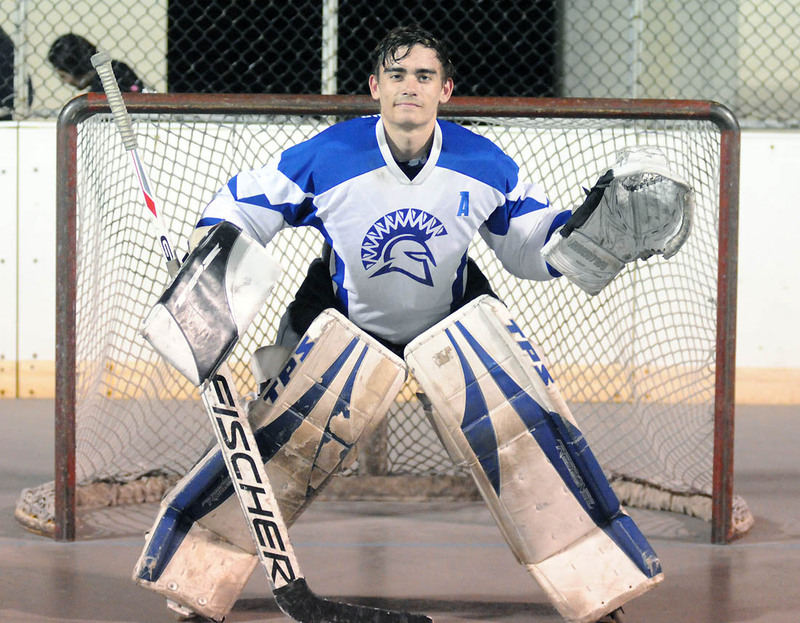 Chula Vista High School senior Giovanni Cimmino stood tall in the net for the Spartans roller hockey team this season as be backed-stopped an undermanned and somewhat inexperienced team to this season’s South Bay League championship. The Spartans finished the 2017-18 season with a 10-1 league record to edge Southwest (7-4 in league) and Mar Vista (6-5 in league) for the league championship. Cimmino played a big role in helping his teammates win that title as the most experienced player on the court. Without his leadership between the pipes, Chula Vista’s record could have been significantly reversed in the win/loss column. Not surprisingly, he earned honors as the 2017-18 South Bay League Player of the Year. “I want to think my friends and family for pushing me and thank all my coaches for teaching me how to play goalie,” he said. Cimmino completed his third year on the team, his second between the pipes. He said it took him a while to appreciate the position after leaving the floor as a field player. Cimmino will be joining the Marine Corps following graduation. He is currently playing a field position for the CVHS boys lacrosse team. The Stanley Cup playoffs are all about great goals, great goaltending and great teams. Taken together, it makes for great viewing on any media platform. The 2018 Stanley Cup playoffs could also be all about the first-year Vegas Golden Knights. Vegas shocked the hockey world by setting a seemingly unending list of records for a National Hockey League expansion team. The Golden Knights, built with retreads and promising young prospects obtained though an expansion draft and cunning trades by general manager George McPhee, finished with a remarkable 51-24-7 regular season record and 109 standings points to win the NHL’s Pacific Division. All three California teams have either won the Stanley Cup or advanced to the Stanley Cup Finals. The Ducks won the Cup in 2007 and were a finalist in last year’s Western Conference Finals. The Kings won coveted Stanley Cups in 2012 and 2014. Vegas, it seems, is keeping some rather elite company. The 109 standings points placed the Golden Knights fifth best overall in the 31-team NHL — eight standings points behind the Nashville Predators, the top team in the Western Conference and top team in the league. 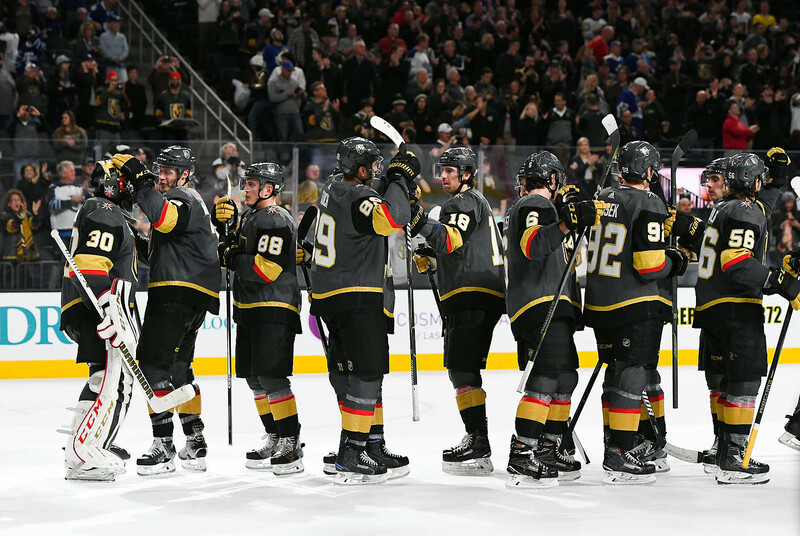 The Vegas team, the funded to the tune of a$500 expansion fee by principal owner Bill Foley, showed it had something special going for it from the first puck drop of the 2017-18 season. Following the completion of regular season play, the NHL’s newest team still isn’t finished setting league records. On Wednesday, the Golden Knights won their first playoff game by defeating the visiting Los Angeles Kings, 1-0, in front of an overflow crowd of 18, 479 at T-Mobile Arena (the seating capacity for hockey is listed at 17,500). Defenseman Shea Theodore beat Kings goaltender Jonathan Quick on a long shot at 3:23 of the first period to notch the first goal in playoff history for the Vegas franchise. 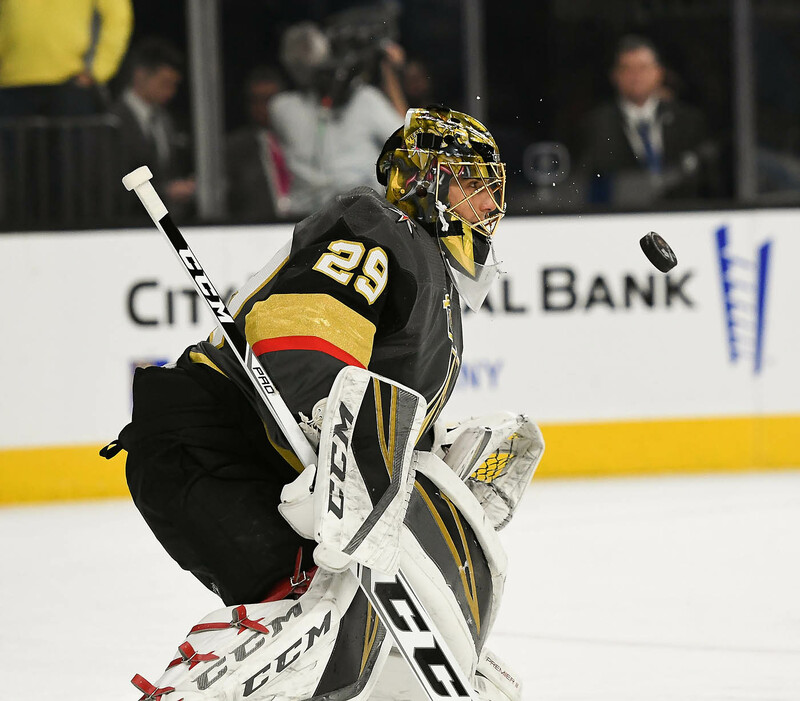 VGK goaltender Marc-Andre Fleury, who won three Stanley Cup championships with the Pittsburgh Penguins over a span of 13 years, made 30 saves to backstop his team into Stanley Cup playoff history. 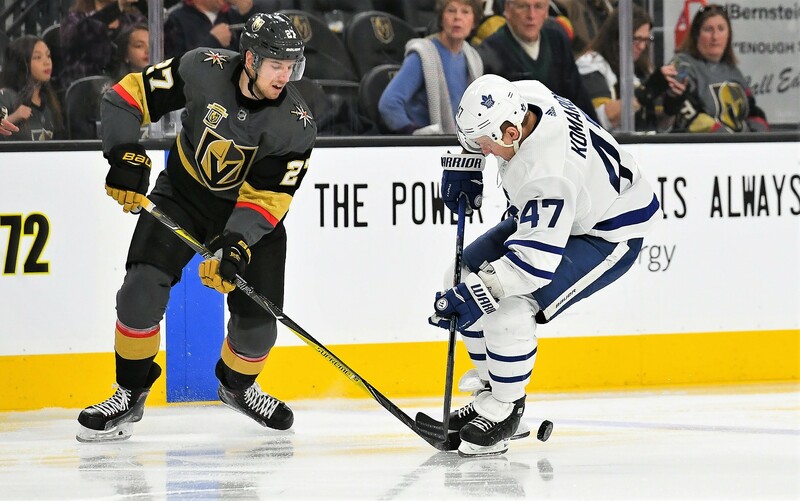 The Golden Knights followed up that history-making feat by edging the visiting Kings, 2-1, in a double overtime thriller. Theodore drew the secondary assist on teammate Erik Haula’s game-winning goal with 4:38 left in the second overtime period. The best-of-seven series, with the Golden Knights holding a 2-0 edge, shifts to Los Angeles for the next two games on April 15 and April 17. The next three games, if necessary, alternate between the two cities. The Golden Knights possess a 35-5-2 record when scoring the first goal in the game. They are 2-0 when doing such so far in their first playoff games in franchise history. Alex Tuch gave Vegas a 1-0 lead in the first period of Friday’s game before Paul LaDue tied the game for the Kings with a second period goal. The game was scores through two full periods after that – and nearly a third. Media coverage will be intense for the remainder of the series. The NBCSN, ATRM and PRIT networks are handling telecasts. Not surprisingly, the city of Las Vegas is going crazy over the city’s first professional sports team (the NFL Raiders are coming in 2020). The replica 150-foott tall Statue of Liberty, a landmark on the Strip at the foot of the MGM Resorts’ New York New York Hotel & Casino, received a makeover by donning a huge 6,000-square foot Golden Knights jersey to help fans get into the playoff spirit. Theodore, a fourth-year pro, leads the Golden Knights with two points in the playoffs. The 22-year-old British Columbia native was acquired in an offseason trade with the Ducks to guarantee the Golden Knights would select Clayton Stoner in the NHL Expansion Draft, thus protecting many of Anaheim’s top defensemen. The defenseman has suddenly turned offensive when the season counts most. Theodore’s name should be familiar to local hockey fans. He played in 76 games for the San Diego Gulls, the Ducks’ affiliate in the American Hockey League, from 2015-17 while also dressing 53 times for NHL games. 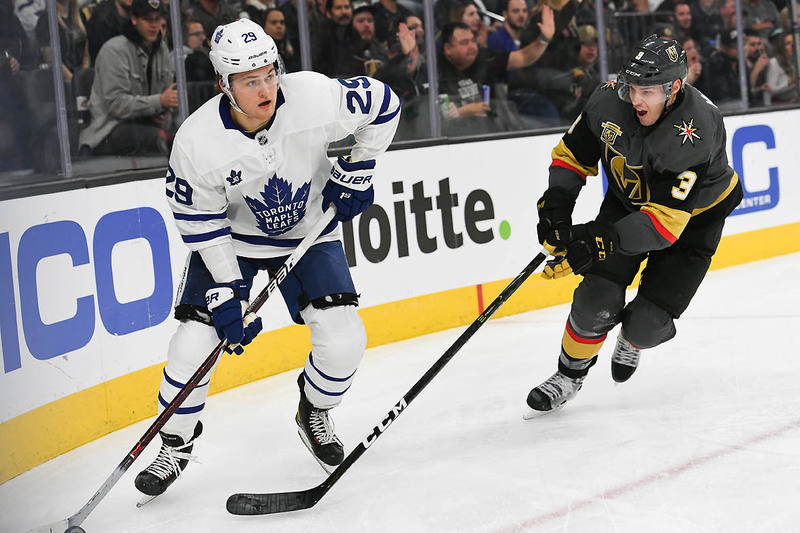 Theodore spent eight games with the Chicago Wolves, the Golden Knights’ AHL affiliate, to start this season before joining the Vegas lineup full time. In 61 NHL regular season games for the Golden Knights, the ex-Gull fan favorite collected six goals and 23 assists for 29 points, one power play goal and one game-winning goal. He recorded three shots, two blocks and one hit in Wednesday’s playoff game, including the history-making game-winning goal. Stoner, an eight-year NHL veteran, appeared in three games with the Gulls during the 2016-17 season. He was the center of controversy in May 2013 after illegally killing a Grizzly Bear during a hunting trip in British Colombia — and posting photos on social media. He spent the 2017-18 season on injured reserve. “I thought it was a good playoff game with two tight teams playing real good hockey,” Gallant said when addressing the media on Thursday. “I think it’s going to be a good-battled series. I don’t see any 6-0 games or 7-0 games, for sure. I see two teams that are going to start playing good, solid defensive hockey. The Golden Knights will be out to prove their 2-0 series lead is no fluke when the teams rematch in Los Angeles. The Kings were without defenseman Drew Doughty in Game 2. Doughty served a one game suspension handed down by the league for an illegal hit to the head on VGK wing William Carrier in Game 1. This year’s NHL playoffs could offer some surprises. All eight playoff series have started — two of the lower-seeded teams came up with victories in Game 1 and one more lower-seeded team posting a win in Game 2 of its series. The third-seeded Sharks shut out the second-seeded Ducks, 3-0, on Thursday to take a 1-0 lead in their series. Evander Kane, obtained in a late season trade with the Buffalo Sabres, scored two goals in his first trip to the Stanley Cup playoffs in more than eight years in the league. Game 2 is scheduled Saturday in Anaheim. The two other playoff series in the Western Conference include Nashville against the Colorado Avalanche and the reborn Winnipeg Jets against the Minnesota Wild. The Jets lead their series 2-0 while the Predators have a 1-0 lead. The four Eastern Conference playoff series pit Washington Capitals and Columbus Blue Jackets, Pittsburgh and Philadelphia Flyers, Tampa Bay Lightning and New Jersey Devils, and Boston Bruins and Toronto Maple Leafs. The Blue Jackets, Lighting and Bruins all lead their respective series 1-0 while the Pittsburgh-Philadelphia series is tied 1-1. The Stanley Cup playoffs feature four rounds. Television carriers include NBC-TV, NBCSN, CNBC, USA and the NHL Network. The NHL Awards are scheduled June 20 in Las Vegas. The 2018 NHL Entry Draft is scheduled June 22-23 in Dallas.